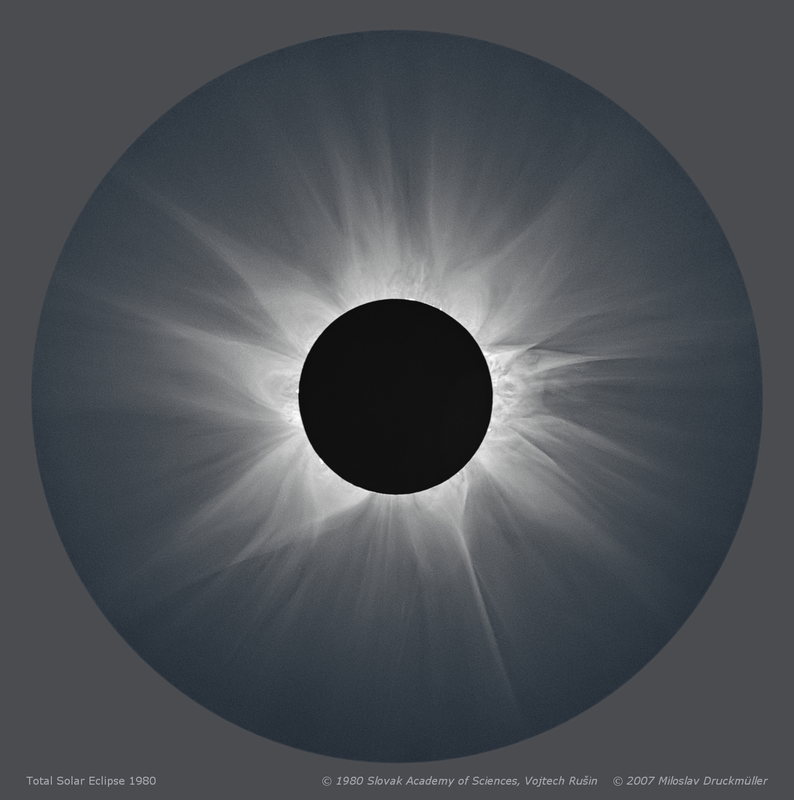 This image shows a very complex structure of the corona at the maximum of the solar activity cycle. The image was made of large-format glass plates of excellent quality. The focal length of the optics was over 3 m and using of coelostat enabled to obtain sharp images not influenced by vibrations. 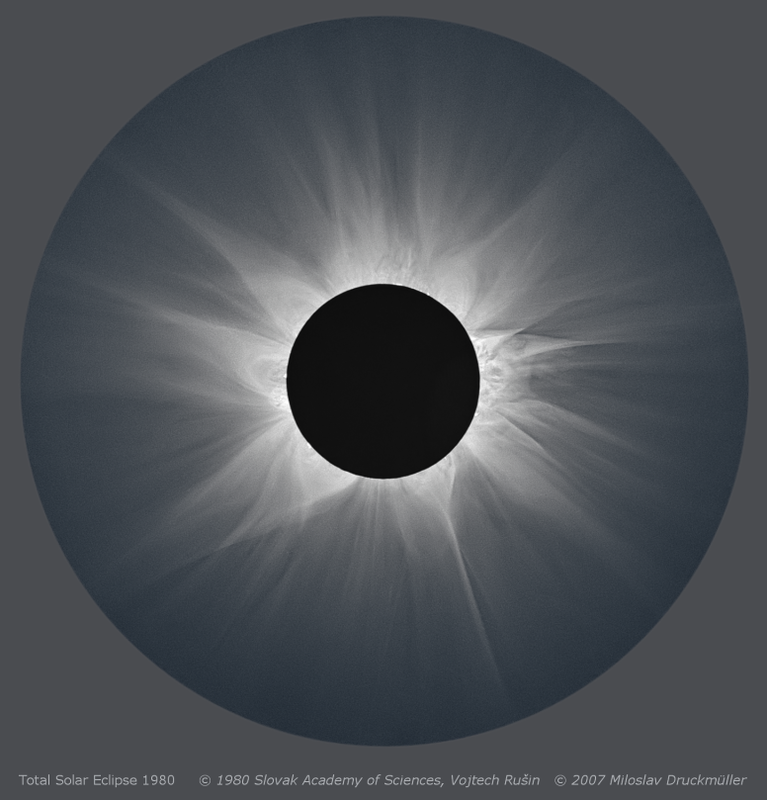 See the the negative version of the image, which shows the fine coronal structures even better than the positive one. Note The graph above the table shows the average values of the relative number of sunspots, in which the red arrow indicates the time of 1980 eclipse. Graph was created according to data from Sunspot Index Data Center, Brussels.